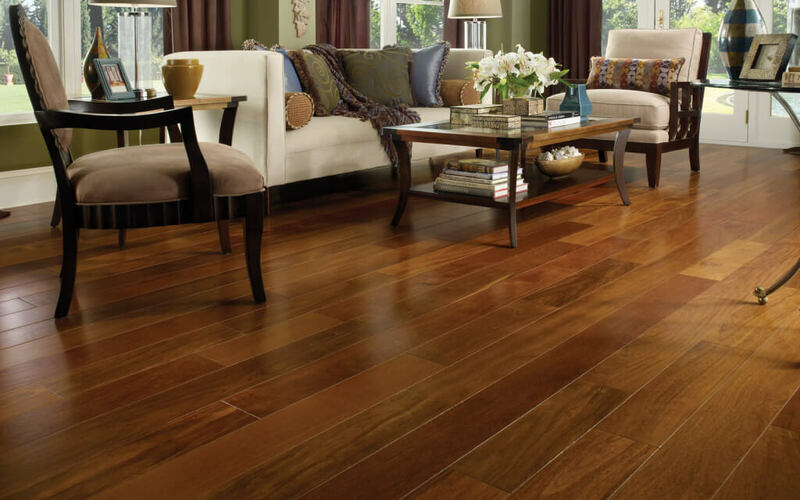 From the kitchen to the family room, a quality hardwood can be an ideal fit for any space in your home. 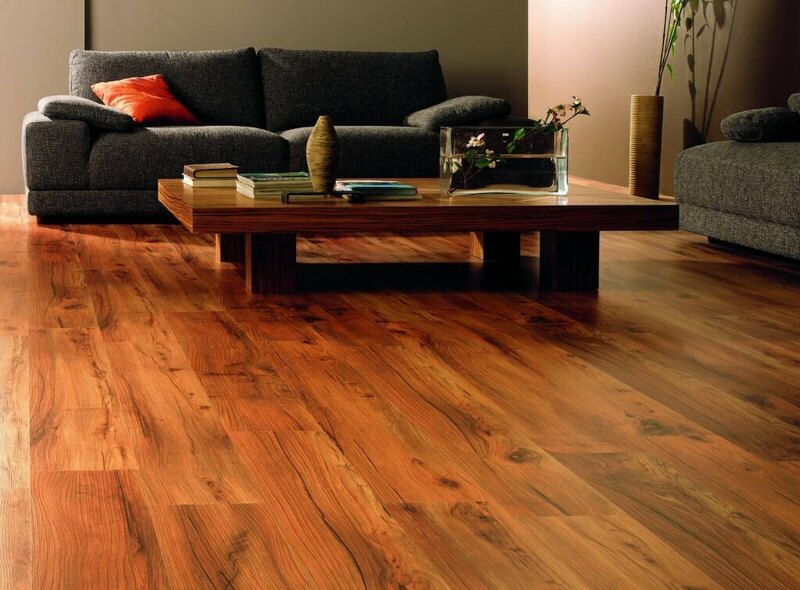 While there are many different flooring options, its hard to beat the warm, charming look and feel of real wood. When well-cared for, wood flooring can last for many decades and will significantly boost the resale value of your home. In fact, most homeowners prefer hardwood floors in the majority of the rooms inside the house, and are willing to pay more money for them. Today, there are many hardwoods to consider: domestic and exotic species, reclaimed hardwoods, or engineered wood floors. There is something that can fit pretty much anyone’s aesthetic tastes and budget. We recommend getting at least 3 free estimates from local flooring pros. This will help you choose a contractor you trust and a price that you like. In general, pine flooring is the most budget friendly option, with prices ranging from $3 to 6 per square foot. In the middle are decent quality domestic woods, such as oak, maple, cherry, ash, and hickory. These floors cost $5-9+ per square foot. At the high end of the price spectrum are exotic and imported woods, such as mahogany, tigerwood, rosewood, etc. These beautiful hardwoods are imported from Asia, Africa, South and Central America. Costs start at $7-10 per square foot, but can easily reach $20-25 per square foot. Its important to note that your overall flooring cost will depend greatly on the thickness, grain (flat sawn vs. quarter sawn), grade, finish, and species of wood, as well as its availability. In general, the fewer the defects (knots), the more expensive the hardwood will be. When it comes to installation, complexity of labor will determine the final cost. On simple installs, expect to spend $3-5 per square foot. However, depending on what needs to be done, you may end up spending as much as $10 per square foot for hardwood installation. If natural wood is a bit out of your price range, there is a great alternative that offers almost identical looks: engineered hardwood. Thanks to modern technology and cutting-edge adhesives, it is now possible to have a wide variety of wood species as “engineered boards”. An added benefit is that you can actually install engineered wood floors in rooms where hardwood would not be ideal, such as: bathrooms, basements, or over radiant-heat flooring. There are dozens of beautiful hardwood varieties that will satisfy any budget and aesthetics, from domestic classics to exotic show-stoppers. In recent years, reclaimed hardwood floors have become exceedingly popular. Reclaimed wood offers a unique look and style that is well suited for high-end remodels and historic homes. Because its popularity continues to grow, many manufacturers now produce engineered floors designed to look like expensive, reclaimed antique hardwoods. Here is a reference chart with the installation cost per square foot for the most popular types of hardwood. Red Oak $3.50 – $7 The most popular wood installed in US. Known for durability, hardness, and stain absorption. Prices depend on wood grade, plank width and finish. Heart Pine $3.00 – 6.00 Offers a rusty hued and knotty look. Highly popular in country-style/Southern homes. Hickory (Pecan) $5 – $9 Looks similar to oak in color and graining, but is a lot harder. Hides scratches and dents really well. Maple $4.60- 7.00 Has a light, yellowish color, light grain and a sleek, smooth look. Perfect for contemporary style homes. White Ash $5.60 – 7.00 Offers a beautiful blond color and a prominent grain pattern. American Walnut (Black Walnut) $7.84 – 11.00 Boasts unique color hues that range from lighter pale brown to dark chocolate, with undertones of purple, grey and red. Bamboo $3-7 Eco-friendly, sustainable flooring that can be just as hard as oak. Price varies greatly depending on origin. Brazilian Cherry (Jatoba) $6.84 Offers smooth graining, and a striking, deep red color, which tends to deepen with age. Royal Mahogany $6.90 Boasts a very fine and even grain, with a luxurious dark reddish brown color. Tiete Rosewood $7.64 Offers a unique pinkish color with a fine grain, Over time, the color darken to a beautiful, rich red color. Oak, Pine, Hickory, Chestnut $7.00-14.00+ Boasts a unique look and feel of antique wood, with dents, scratches, nail holes, interesting markings, etc. In addition to the floor itself, you need to budget for the cost of labor and other materials necessary to complete the installation. As a rule of thumb, contractors charge more for smaller size jobs. This means that you can save on the cost of labor per square foot, if you need to install hardwood over a large area (many rooms) of your home. Often, homeowners are surprised and taken aback when they get a quote from a contractor, which is double or more than the cost of the wood itself. There are a number of factors that go in to this estimate, which we break down for you below. As you will see, final labor charges greatly depend on the type of installation you want, with stapled or nailed method being the cheapest option. ***Keep in mind that prices quoted bellow are for installing prefinished planks. One of the major decisions you need to make is whether you want to have a prefinished or unfinished floor. Prefinished means that the final finish has already been applied at the factory. This floor is completely ready for installation and requires no additional work. Unfinished means that either you or the contractor will need to stain and finish the hardwood, after it has already been installed. A pro will charge you about 15% extra, but sometimes as much as 40% to apply stain and finish coats. Take a look at the table below to compare the advantages of each option. 5. No worries about dust and errant hairs that can get stuck when trying to finish an unfinished floor and ruin its looks 5. If you have hardwood and are adding more, unfinished wood can be finished and stained to match more exactly. If you install unfinished planks, you need to budget for the cost of finishing your floor, which averages $1.50 – 4.00 per sq.ft.. Your total costs will depend on numerous factors, such as the size of the room, number of corners, any irregular room design, quality of finish and stain, job complexity, accessibility and other factors. Polyureathane Finish (Water-based) $40 – 60 / gallon. Covers 400 – 500 sq.ft. Polyureathane Finish (Oil-based) $18 – 40 / gallon. Covers 500 – 600 sq.ft. Wax Finish $10 – 25/ lb. Covers 400 – 500 sq.ft. Penetrating Oil Sealer Finish $60 -70 / gallon. Covers about 500 sq.ft. Shellac Finish $80 – 90 / gallon. Covers about $300 sq.ft. 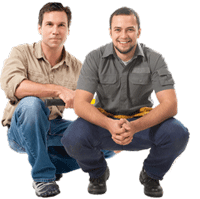 When it comes to hardwood floors, one of the biggest expenses is professional labor. Indeed, depending on the size and complexity of the job, it can be as high as the price of the floor itself. As we discussed above, professional installation starts at $3.5 per square foot and can be as high as $10+ per square foot. Therefore, one way you can save a lot of money is by doing the job yourself. Keep in mind that its significantly easier and faster to install engineered wood floors, many of which are manufactured as floating planks. On the other hand, hardwood floors need to be either nailed or glued down, and this is a complex job that usually requires expert knowledge. You also need to make sure that the subfloor is completely smooth before laying down your floors. 1. Measure your room’s square footage. 2. Add 5-10% to the total calculated square footage to account for waste. 3. Multiply your total square footage (with waste included) by the price per square foot for a wood board. 4. Add $50-100 to the final cost to account for door thresholds, and shoe moldings. 1. Shop discount flooring: you can get a wide range of hardwoods at 20-30% off the retail price in places like Lumber Liquidators. Online stores such as Build.com also have many hardwood floors at deep discounts, of as much as 50% off compared to in-store prices. However, if you are shopping online you have to factor in shipping costs, which may end being very high. 2. Go for mid-range quality wood: consider wood grades that are not perfectly clear. Even if there are some blemishes, knots, etc, the overall look will still be great, but you can save hundreds of dollars. 3. Remove old flooring yourself: a professional installer will charge $1-2.5 per square foot to remove and dispose of old floors. If you are doing floors in many rooms, this alone can add up to hundreds of dollars. 4. Move the furniture by yourself: here again, pros will charge extra for moving the furniture from the room/s where they will be installing floors. You can add another $100-350 of savings if you are willing to sweat and get the job done yourself. 5. Get multiple quotes: different flooring pros will give you variable rates for their work. For example, you can get flooring installation from home improvement chains like Home Depot, but it will generally cost more than working with a small private flooring contractor. Also, don’t go for overly low-end offers. These pros will either do a sub-par job, or they are not being honest about all the labor charges involved. Once you sign a general contract and they begin work, you will be slammed with additional charges, that have “suddenly” come up.